Thessaloniki Concert Hall came to fulfill the desire of the people of Thessaloniki and the surrounding areas for a place dedicated to musical and artistic activities. 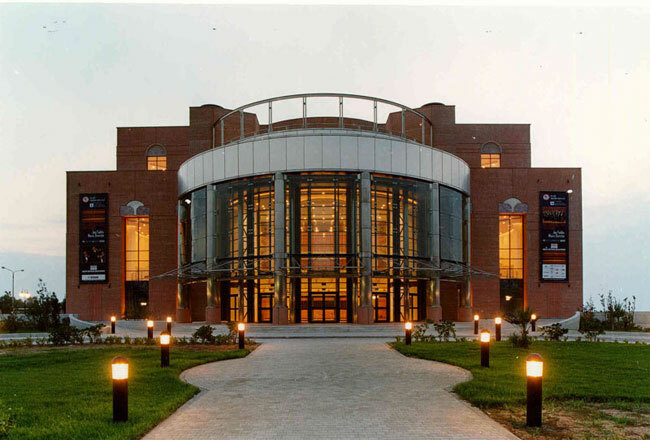 The Thessaloniki Concert Hall was built along the coast of the city, near the Thessaloniki Poseidonion Sports Centre, in an area of 18.000 sq. 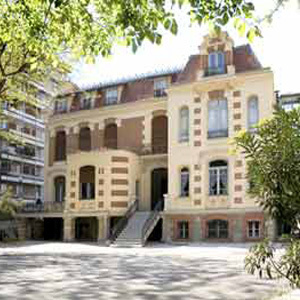 m.
The Concert Hall is a modern cultural and congress center built on international standards, holding the potential to host large scale events such as operas, concerts, ballets, theatrical plays, art and cultural exhibitions and conference events. The building was designed by the famous architect Arata Isozaki to be a landmark and a diamond on the crown of the city. Byzantine past as well as the today’s contemporaneous cosmopolitan character. The Concert Hall has a large and fully equipped auditorium, superb acoustics, seating capacity 1,464, with 1,060 to be on the square, in 88 galleries and 316 of them on the balcony. Impressive is the reception hall (foyer) while the excellent design and combination of infrastructure and operational areas such as offices for administrative and technical services, the necessary facilities to support the operations and the events such as dressing rooms, test rooms, warehouses, together with the anticipation for people with disabilities and the adequate seats and lifts make an exceptional building, the pride of the city. The Concert Hall was opened on January 2, 2000 and began scheduled events in May 2000. The operation has contributed decisively to the cultural, social and economic development of the city. The organization of many important cultural events, together with the presentation international conferences and exhibitions has turned the city of Thessaloniki into an international cultural center of the region of Macedonia and the Balkans. Στην τιμή του εισιτηρίου δεν περιλαμβάνεται η είσοδος στους αρχαιολογικούς χώρους - αξιοθέατα. H SightSeeing Thessaloniki δεν ευθύνεται για τις ώρες λειτουργίας και την πρόσβαση στους αρχαιολογικούς χώρους ή τα άλλα αξιοθέατα.